The Town of Newburgh NY Real Estate market continues to move along slowly. Is it a good time to sell? When a home is priced right and in good condition, a home disappears quickly. Is it a good time to buy a home? Well, for those buyers that are ready, there is a decent amount of inventory that is available to view. 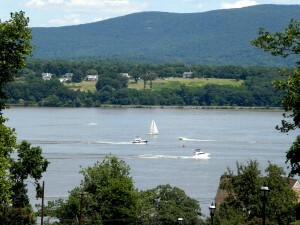 Looking for information on the Town of Newburgh NY real estate market? You have found the right place. Check the facts and you will see what is happening in the area. Real estate is local and each market is different. There are 63 homes currently under contract with about 1/3 of those in the $200 to $300K price range. Only one home is over the $500K price point that is now under contract. The average sold price was $ 245,290 spending an average of 138 days on the market. Year to date there have been 114 closed sales with an average sold price of $ $252,720 spending an average of 146 days on the market. In the last twelve months there were 181 closed sales with an average sold price of $245,200 spending an average of 139 days on the market. The majority of our inventory sold between $180K and $350K. A total of six homes sold over the $500,000 price point. The Town of Newburgh NY home absorption rate is at a 15.3 month supply indicating we remain in a buyers market. If you are looking to buy or sell a home it is important to understand the current market. Check back soon for info on and stay in touch with changes in the market. I can help you sift through all the info you hear from the news. When you are ready give me a call to set up an appointment and go over the info with you. An informed buyer or seller is one that is able to make the best decisions. Your home is the most expensive purchase you will ever make. You want to get it right the first time. SEARCH for your next home….